*1 SESJ is a wholly owned subsidiary of Sharp Corporation, specializing in energy solutions such as the sales of PV systems and the installation of electrical equipment. *2 Shigemitsu Shoji is a trading company handling the import/export of building materials and textiles such as towels. 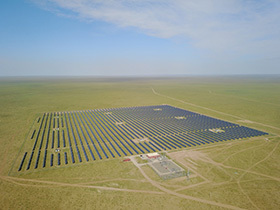 It also operates a solar power generation business. *3 Solar Tech’s main business is developing and operating solar power plants.